Congratulations on your pregnancy! Whether it's your first baby or your fifth, don't miss the opportunity to celebrate your anticipation and changing body with custom maternity portraits! Maternity sessions may be held at my private outdoor location or studio, in your home, or at another location of your choice with Atlanta maternity photographer, Simply Corey Photography. I recommend that maternity sessions are held between 32 and 36 weeks, but you are welcome to have pictures made earlier or later too. More examples of maternity photography sessions can be found on the blog. Simply Corey Photography is also available for gender reveals, newborn photography sessions, and Fresh 48 sessions in the hospital once your baby is born. 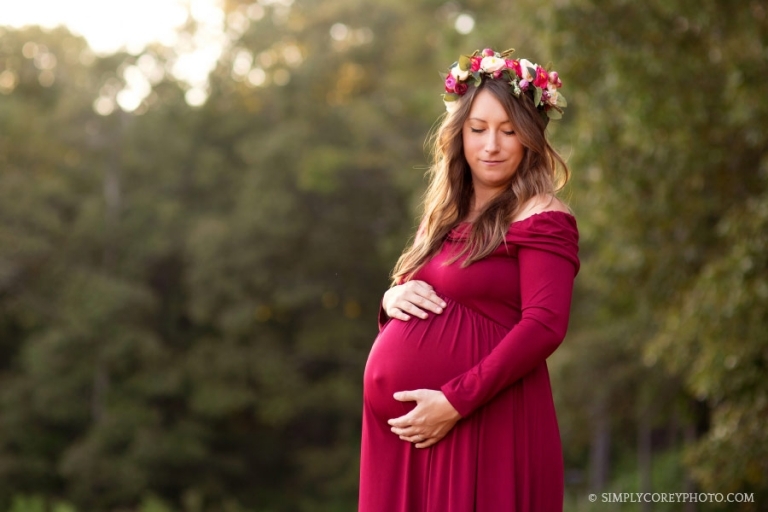 Are you interested in capturing your pregnancy with a custom maternity session? Request my availability and detailed pricing by sending me an email!